If you a lot of empty or old nail polish bottles filling up your cupboard, then it’s time to recycle them and use them in your next DIY project. 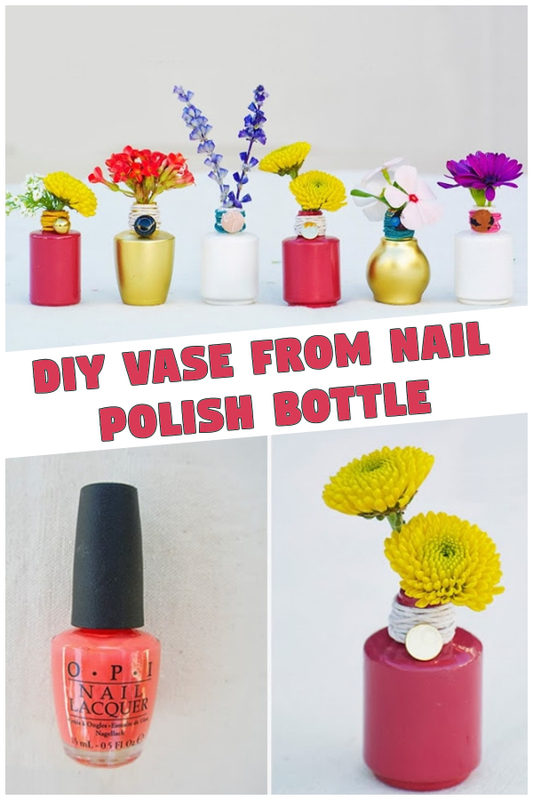 Take these old and empty nail polishes and turn them into colorful and beautiful bud vases. With our DIY tutorial, now you can make use of all your craft supplies and make some incredible crafts without spending a lot of money and make your loved one feel special and loved with your unbelievable DIY gifts. Many of you love flowers and when you see them, you really want to make them look even more special, especially when you want to give them to your loved ones. Now, with these beautiful little flowers, you can make small bud vases. Well, you don’t need to use real flowers; you can as well use artificial flowers. Makes these DIY from the used or empty nail polish bottles and bring some color to your room. 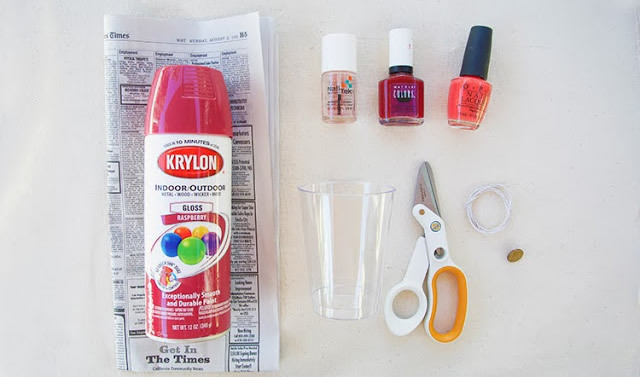 Remove the labels from the nail polish bottle. Sometimes, they are not easy to remove, so soak them in warm water before peeling. 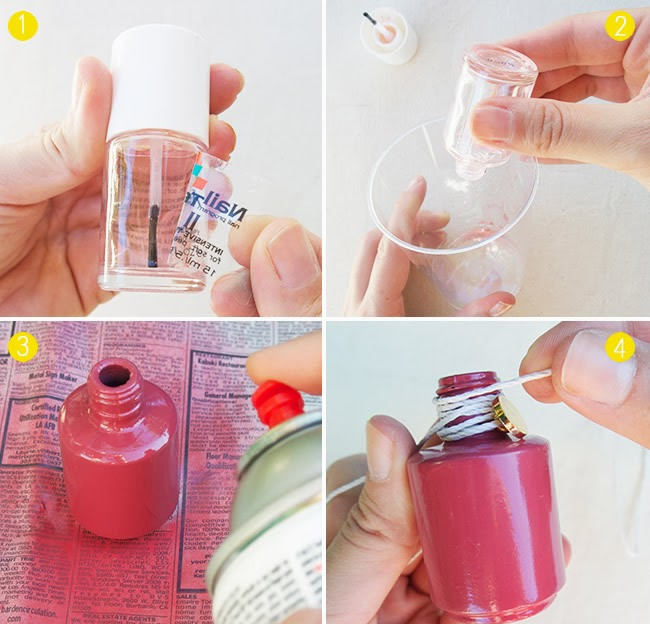 If you still have the nail polish in the bottle, then pour out the remaining nail polish. Before, starting the project put a newspaper to save your workspace from spray paint. Now, spray paint on the bottle until it is covered completely. Make sure to follow the directions when painting the spray paint, and also ensure to have enough light and ventilation before you start the DIY project. Now, let the paint dry. Now, take the yarn and wrap it on the top of the bottle and tie a small knot behind the button or the back of the bottle and cut the remaining yarn. Make sure the nail polish is completely dry inside the bottle before adding the flower bud or water to the vase.